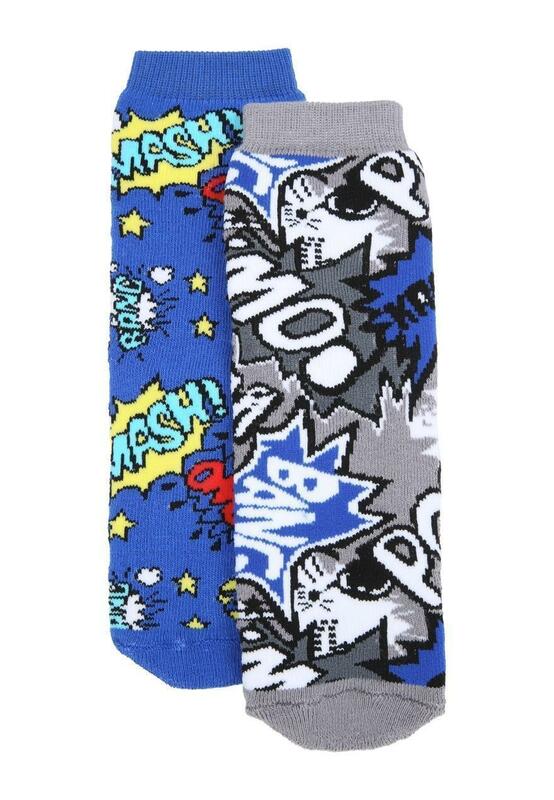 These slipper socks will make a great addition to their loungewear collection. 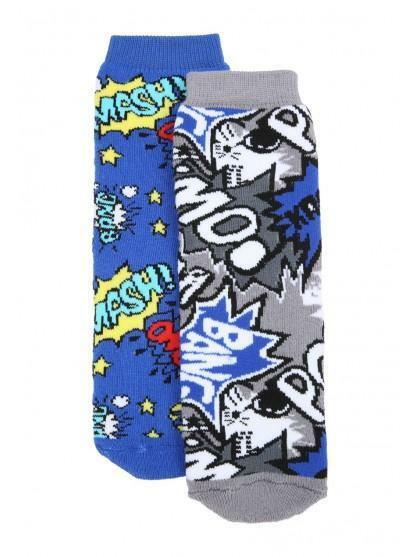 Containing two pairs of comic themed socks with gripped bottoms, they're perfect for wearing at home. Genius design! Just perfect for kids, fits well & snug.